Click screen shot picture to enlarge image. Click logo button to download app. Adobe Reader - Get the PDF viewer from the company who invented the format. With Reader for Android, viewing PDF documents is a breeze. 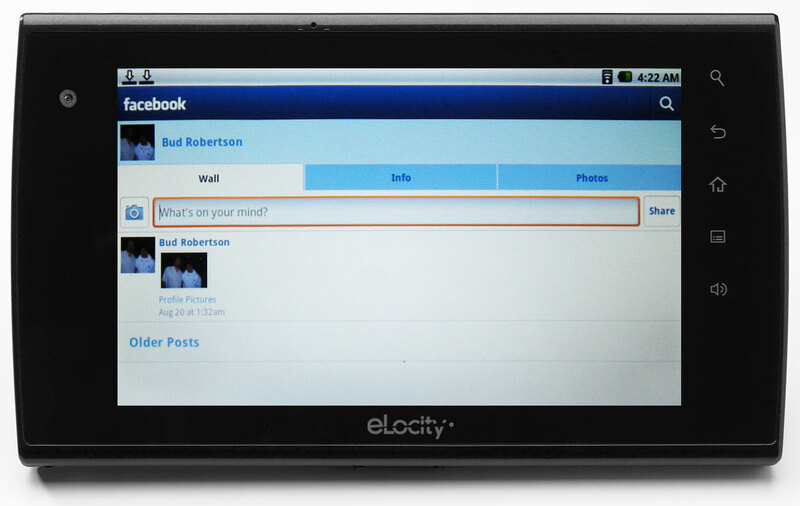 With the eLocity tablet, the quality is unmatched. 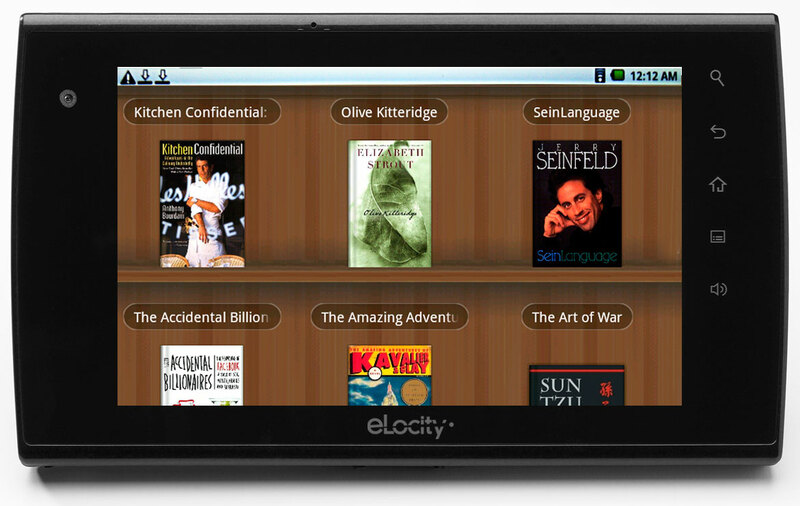 Aldiko - This e-Book reader gives you great functionality as well as a virtual bookshelf with access to thousands of free classics and modern works that you can read on your tablet. Amazon Store - From books to movies to electronics to toys, just about anything you can think of is for sale at the Amazon store. Just log in, make your purchase, and you're done. 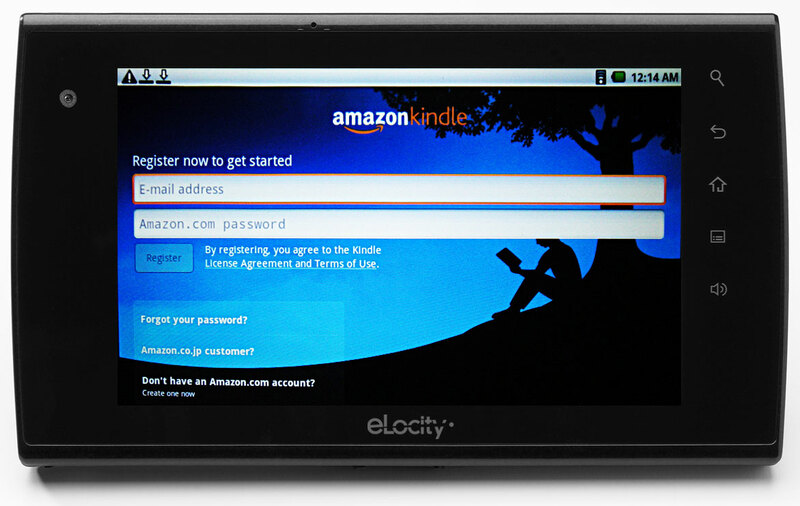 Amazon Kindle - Get the best reading experience available on your tablet - no Kindle required. Read in portrait or landscape mode. 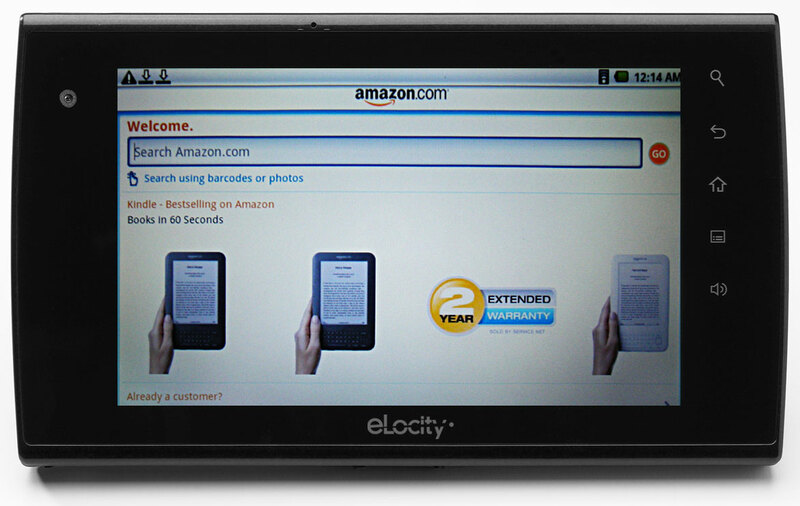 Automatically synchronizes your last page read. Amazon MP3 - Shopping for music is easy with the Amazon music store. 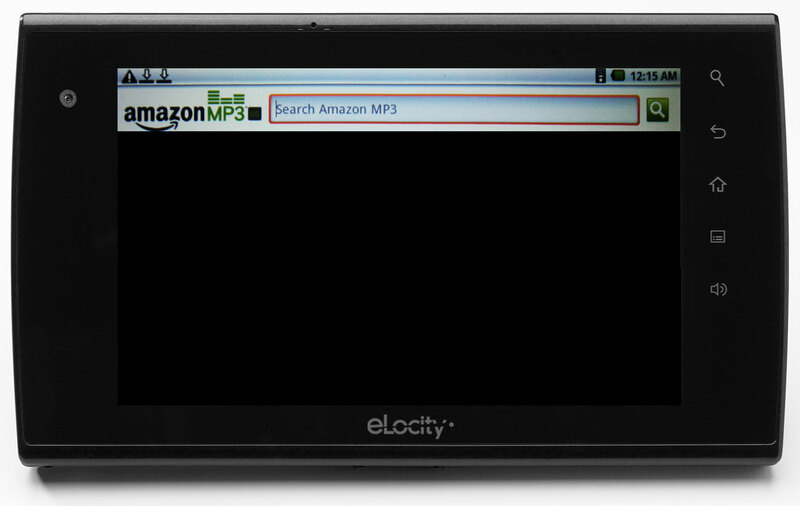 Purchase songs and download the MP3 files straight into your tablet or onto external media for use on other devices. Box - Share and collaborate on content from anywhere - productivity documents, creative files, images, audio, video and more. Now you can access and share all that content using your tablet. Dropbox - All the contents of your cyberspace Dropbox are available for viewing and sharing. 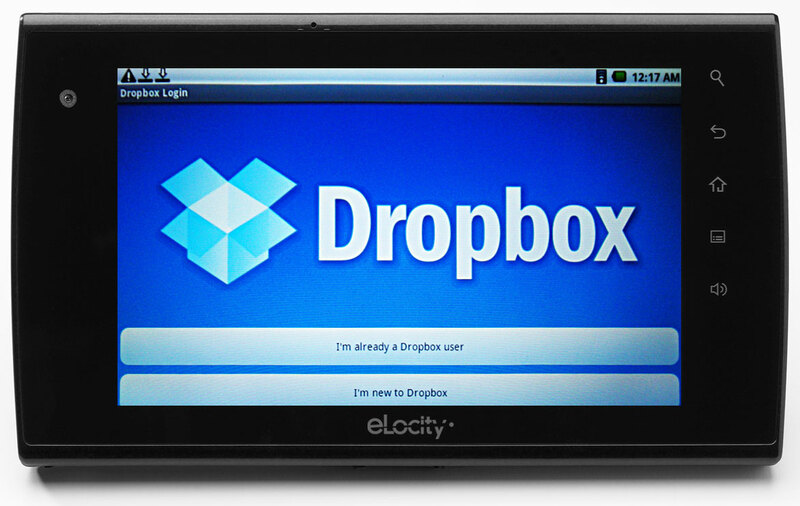 You can even stream music and movies from your Dropbox straight to your Tablet. Facebook - Use the world's #1 social networking app to keep up with friends, upload an unlimited number of photos, share links and videos, and learn more about the people you meet. Fring - This service gives users internet-rich communication from mobile devices, allowing FREE video calls, voice calls, live chat to other "fringsters" and to friends on other social networks. IMDb - Check the cast, writer, director or crew of any motion picture. Keep up with current box office stats and films in development. It's the ultimate resource for all things related to movies. 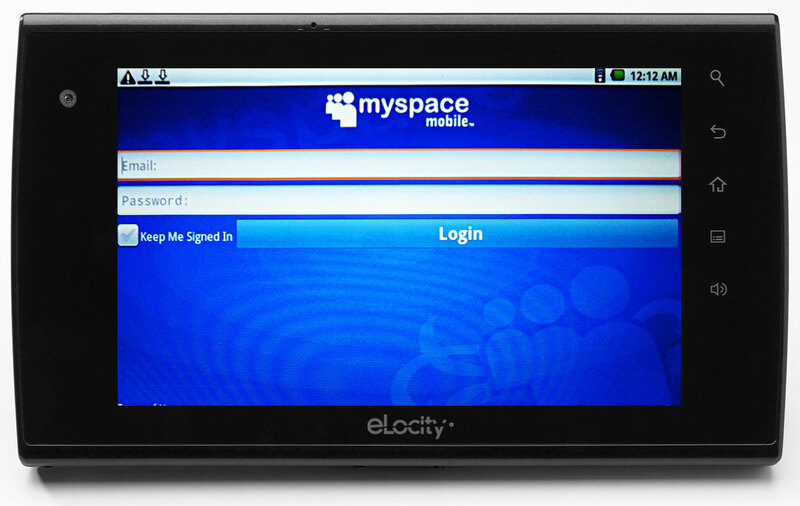 Myspace - The leading social entertainment destination powered by the passion of fans. 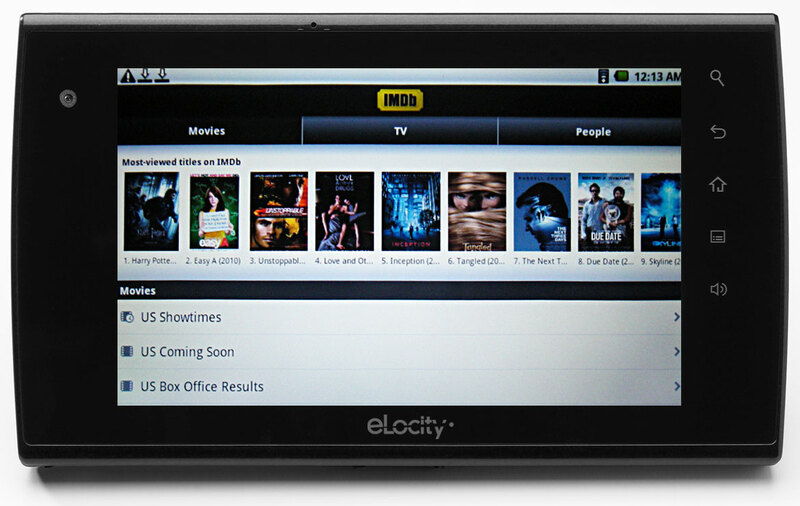 Music, movies, celebs, TV and games made social - and accessible with your tablet. The best method is to access this page directly from your tablet. IMPORTANT: Before installing these non-Google Market apps, Tap the HOME smart key on the tablet's black bezel, then tap the MENU smart key directly below the HOME key. Tap SETTINGS, then tap APPLICATIONS, then tap UNKNOWN SOURCES. You will get a warning prompt, but tap OK. You will now be able to install the new apps. In the list of apps above, tap the button under the screen shot to start the download process. Some apps will be downloaded directly from this site and others may direct you to a third-party site for the download. After you have downloaded the app, tap the HOME smart key on the tablet's black bezel, then tap the MENU smart key directly below the HOME key. Tap NOTIFICATIONS at the bottom of the screen to see your downloads. Just tap the icon you want to install and follow the simple instructions. You're ready to go. If you cannot access the site with your tablet, or if you prefer to download the app with your PC or Mac, just click on the app icon and select a download location. Once you have downloaded the app, you can copy it to a USB flash drive or a Micro SD card. After copying the file to your portable media, insert the flash drive into the A7's USB port (left side) or insert the Micro SD card into the card slot (top). Tap the center smart button to access the desktop, then tap the "ES File Manager" icon to access your external media. Just find the app, tap it to begin the install, and you're done. Please note that the tablet does not support certain older flash drives that do not have current 2.0 technology. These drives tend to be smaller in size. If your tablet does not read the flash drive, please try a newer drive or copy to a Micro SD card.